Hardest part of being at the shelter is THIS! 1 year old, male lab mix that is a tiny thing. He is beyond terrified and just a baby! I made him a little bed and left him treats. He did eat the treats after I left, but was in the same position when o came back by. 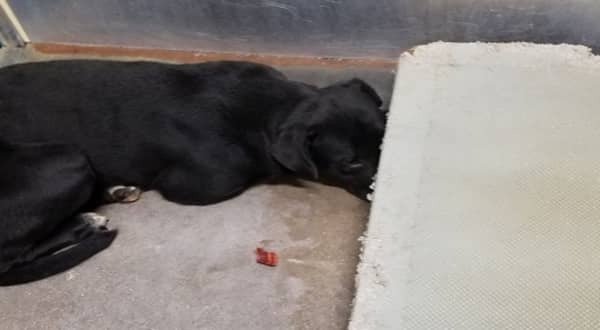 FORT WORTH SHELTER ID NUMBER 37648558. 1 Response to "Hardest part of being at the shelter is THIS! 1 year old puppy beyond terrified and just a baby"